Naples is loud, a little gritty, and overflowing with its own personality. While the traditional tourist sees it as a spot for pizza before heading elsewhere, independent travelers let the city share itself with admirers. Visitors to Naples who bring a keen eye and an open mind will see the city’s true inner beauty and independence. A visit to Naples might not seem complete without calling on most, if not all, of these Top 10 things to do in Naples. 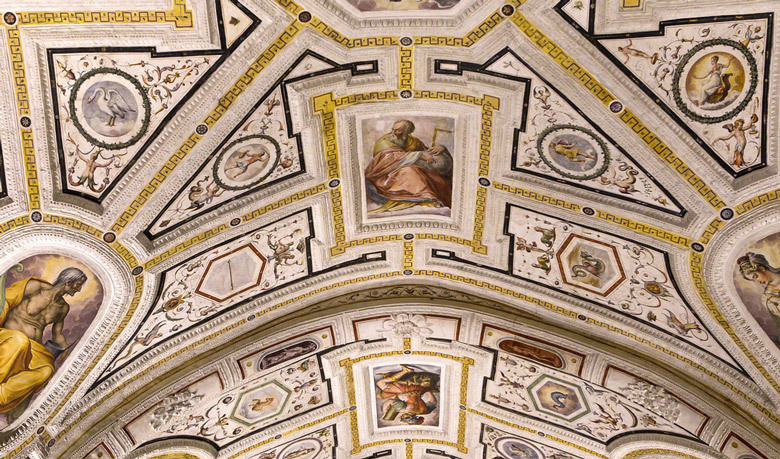 There are many churches in Italy and most are filled with astounding art and history, but if a visit to Naples makes time for only one church stop, make it Sant’Anna dei Lombardi. The original church was built in 1411 and throughout the centuries it was reconstructed into the Baroque, Renaissance and Gothic styles. The most recent reconstruction was necessary due to the church being badly bombed in 1944. And though from the outside it may not seem it, inside it contains a treasury of Renaissance art pieces. There are chapels, tombs, ceilings and frescoes here that make the beholder stand in awe, but what brings people from all around are the eight terra cotta figures of life size proportion that form the “Peita” (1492) by Guido Mazzoni. Also in the church are works by one of Michaelangelo’s pupils, Giorgio Vasari, including his most respected “Sacrestia Vecchia”. This is one church that should definitely be on your list of what to do in Naples. 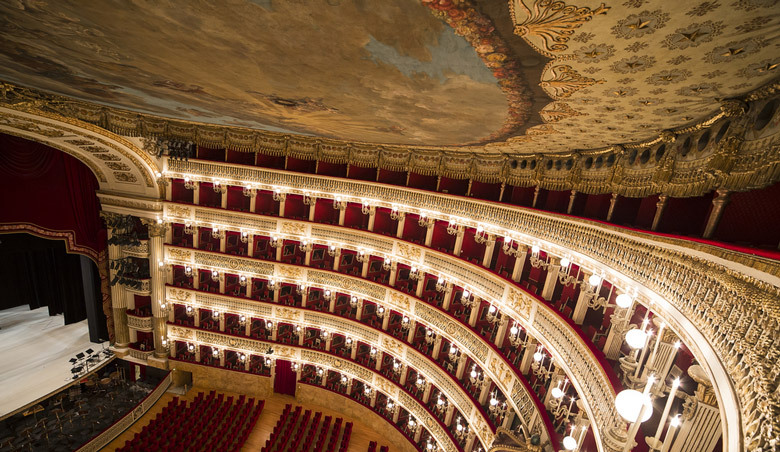 From those curious about opera to adoring fans who can’t get enough of it, all will want to make a visit to this Naples attraction, Teatro di San Carlo, the oldest active opera house in Europe. The original theater was built in 1737 and like many other great pieces of architecture it suffered a devastating fire in 1816. The inside of the opera house is decorated with waves of velvet and gilded gold and is much more lavish than the outside. Guided tours are given throughout most days and are in English and Italian. If a show is in dress rehearsal or sets are being built this can alter what areas are open to the tours, but these restrictions can bring bounty too, including watching a dress rehearsal. If you’re interested in catching a performance here, keep in mind that there are none in July and August and the peak of opera season is December and January. There are many die-hard opera fans that pilgrimage to the San Carlo so consider buying tickets online before arriving. In the summer months, the theater’s ballet company and orchestra take performances outside to other spots around Naples. When looking for things to do in Naples you should include a visit to its largest piazza. At six acres, this public space is a gathering spot for a casual stroll, a backdrop for large scale art installations, a phenomenal New Year’s Eve celebration, and a stage for world famous singers and performers. 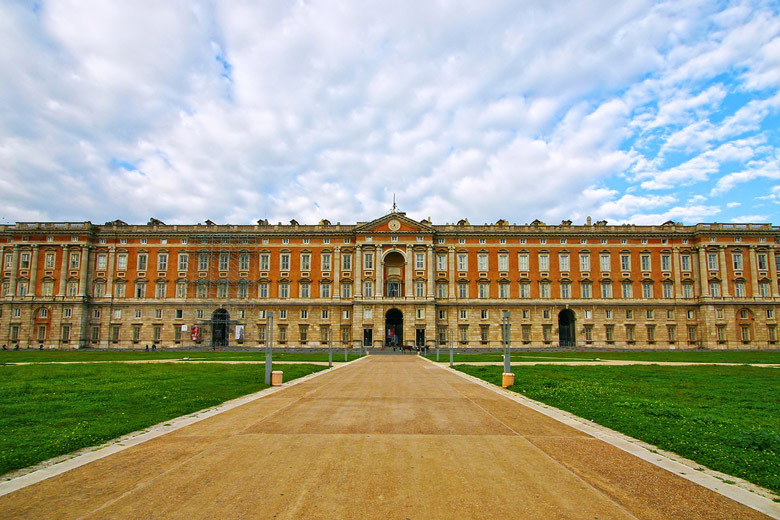 Here visitors will find the Palazzo Reale, a 30-room Royal House Museum, as well as Biblioteca Nazionale Vittorio Emanuele III, the largest library in southern Italy. Gracing the front are statues of rulers standing regal in marble recesses that were added to the palace by Umberto I. Also here is Naples’ own and less crowded version of the Parthenon, Basillica of San Francesco di Paola. In the middle of the piazza are two equestrian statues, one for King Charles VII and the other of his son, Ferdinand I, while at the north end sits Naples’ exciting Café Gambrinus. The café was originally founded in 1860, and in 1890 the current owner commissioned multiple artists to paint their works as decorations. Their Art Nouveau works and the essence of the Belle Époque can still be seen on its walls. The cafe was also known as a meeting spot for intellectuals, artists and writers. 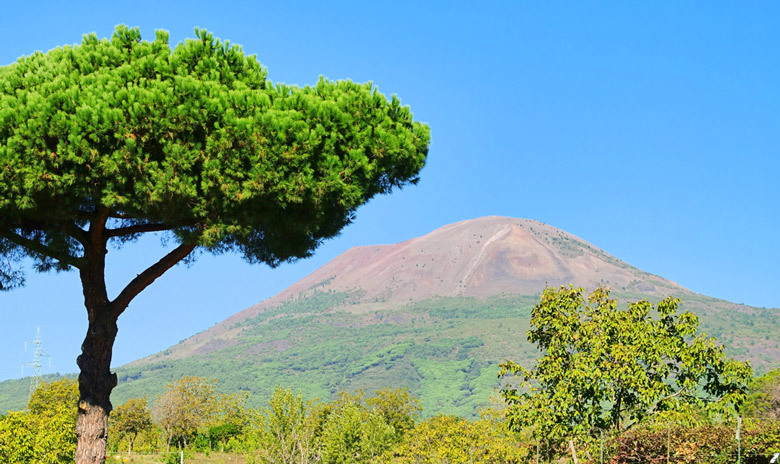 Saying you’ve hiked Mount Vesuvius to friends may sound like an amazing feat but most people can accomplish it and all that’s needed is a pair of tennis shoes, sunscreen, light coat, water and a body that’s in reasonable physical condition. The entire excursion from the parking lot to the top and back takes just over two hours, and at the top you’ll be rewarded with a remarkable view of Naples and the bay. You can view inside the crater, too. No lava is visible but you may see fumes of steam and sulfur gases. As the hike ascends and descends, the lava stones will change in color and in the summer there is an array of flora and fauna. There are also remains of the funicular railway that ran here between 1870 and 1944. The infamous volcano known for covering Pompeii with ash, rock and lava 2,000 years ago (and which last erupted in 1944) is just 10 kilometers (6 miles) from Naples. There are tour buses that can take you directly to the car parking lot, or for those who prefer to travel more independently, it will be a short train trip and a bus. This is a Naples attraction not to be missed. Naples has three castles to visit, each remarkable and beautiful in its own distinct way. Castel Nuovo looms over the port from downtown Naples. Though the most current rendition of the castle was begun in 1279 by Charles I of Anjou, its current look is due to King Alfonso I moving his capital to Naples in 1422. Within these walls a king’s assassination attempt was planned and foiled. Upstairs, a cannon ball is still embedded in the 15th century door that was once taken and then returned by the French. To view the ancient Roman ruins that are underneath the castle, you can peer through a glass floor. Named in reference to the mythical egg supposedly placed underneath the castle by the poet Virgil, Castel dell’Ovo juts into the bay on the petite Isle of Megaride and is considered Naples’ oldest castle. It was here that Romolus Augustolus, the last Roman emperor, was exiled until his death. Castel Sant’Elmo is a medieval fortress with sweeping terraces that provide a panoramic view of Naples and Mount Vesuvius. Though it was started as a church dedicated to Saint Erasmus, 400 years later was turned into a castle and then fortified again in 1538. Also here is the Napoli Novecento Museum dedicated solely to Neapolitan modern art, housing 170 works by 90 artists. This 160-room hunting lodge turned museum belonged to Charles VII of Bourbon and took more than one hundred years to complete. Now it is filled with some of the vast art collection that Charles inherited from his mother as well as other pieces added throughout the years, making this two Naples attractions in one. The collection now spans the 13th to the 20th centuries. Art enthusiasts can see works by Botticelli, Michaelangelo, Titian, Bellini, and Andy Warhol. Most those who visit the Capodimonte seek out Caravaggio’s “Flagellation”. After feasting your eyes in astounding art, be sure to visit the museum’s surrounding grounds. These 300 plus acres were originally designed as a forested area to cater to Charles’ love of hunting; the area now houses over 400 tree varieties, winding paths, and a spectacular view of Naples and the bay from 500 feet above sea level. Take your time visiting this grand park so that statues, fountains and buildings are not missed. Look for the Fabbricato Scuderie (Royal Stables) now used by the local police’s mounted unit, and the Real Fabbrica della Porcellana (Royal Porcelain Factory) which now houses an art school. No visit to Naples is complete without enjoying the pizza! It may be unusual to have food on a list of the top things to do in Naples but Napoletana pizza is so important for the city that we had to include it. Naples is considered the birthplace of pizza after all, and can be traced back to the 16th century. There are two types of true Naples pizza, Marinara and Margherita, the latter including cheese. Legend says that in 1889 the Margherita was created by Raffaele Esposito in honor of the Italian Queen consort of the same name. It is also said that the tomato, mozzarella and fresh basil toppings represent the colors of the Italian flag. This is different to the pizza you’ll find in international chain restaurants. 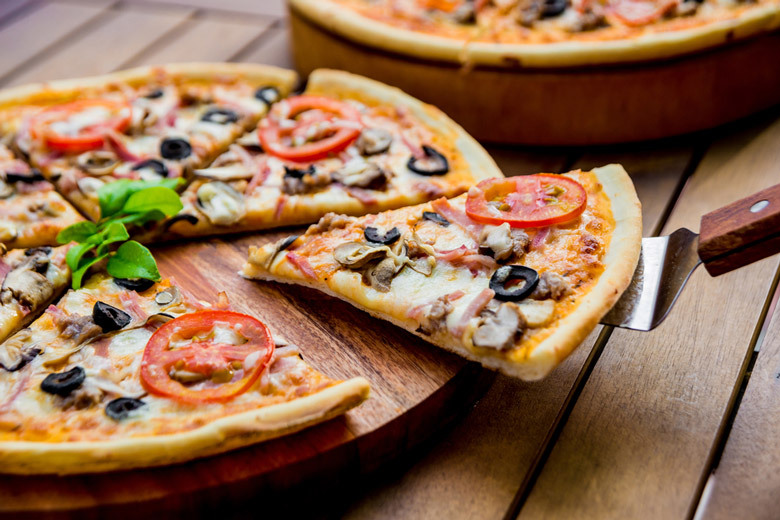 For one, the center is very moist, and though some pizzerias in Naples will offer toppings they are put on sparingly and not considered traditional. If you choose to sit in the café and enjoy your pizza, you eat it with a knife and fork. If you’re on the way to see the sights, it can be folded in half and then again, and eaten on the go. It’s said that there are no bad pizzerias in Naples. Most are located on Via Tribunali, a street that runs from the train station, so they’re easy to come across. 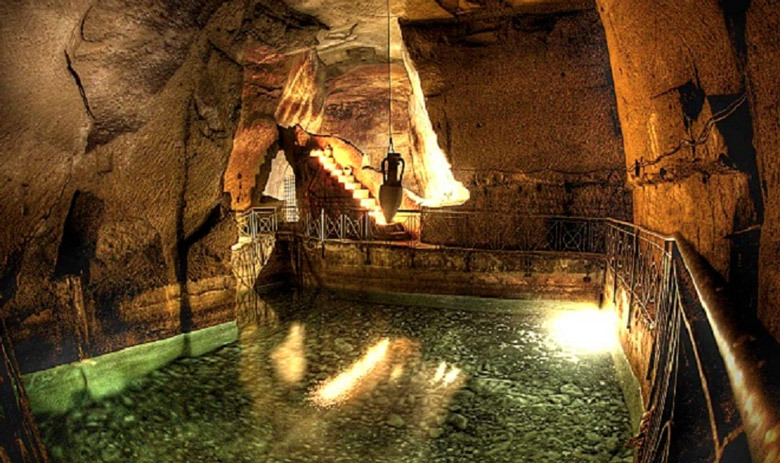 The Sanservo Chapel is one of the top Naples attractions. This family chapel was built in the 17th century but it was overhauled and restyled by Prince Raimondo di Sangro, Prince of Sansevero, in the 18th century. Prince Sangro was a lover of architecture, art, and masonry and employed the best artisans of the day to work on the chapel. 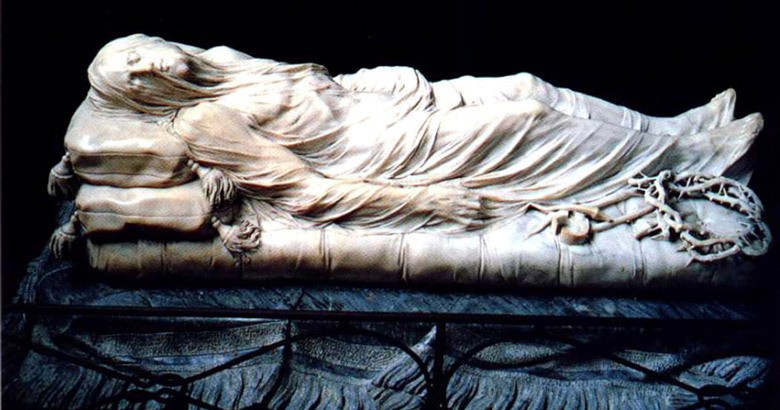 As splendid as the Baroque chapel is, the reason that most visit Sanservo is Giuseppe Sanmartino’s remarkable sculpture, “Cristo Velato” (Veiled Christ). Visualized in the mind of Prince Sangro, then designed by a Venetian sculptor, it is masterfully carved from marble by Sanmartino. Also be sure to see Francesco Queirolo’s sculpture “Disinganno” (Disillusion) which uses the prince’s estranged father as the model, and Antonio Corradini’s “Pudicizia” (Modesty) which is based on the prince’s mother who died before he was a year old. The prince was also known as an admirer of science and this is evident in the statues “Anatomical Machines”. The two figures have been created to show all the veins, arteries and musculature of the human body. Adding to the strangeness is the fact that these works of art were created using human skeletons. Be aware that the chapel can be difficult to find and does not allow any photography, even without flash. The city of Naples is built on a volcanic and soft stone called tuff. Throughout the city’s history the residents, starting with the ancient Greeks, have excavated it as the need arose. This has left an underground of history beneath Naples that is a must visit. From Christian and Pagan burial grounds to aqueducts and World War II air raid shelters, anyone with an interest in archaeology, anthropology or geology should most certainly include this on their list of what to do in Naples. 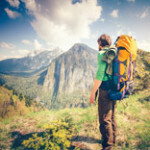 Multiple tour companies offer guided tours in English. Napoli Sotterranea takes guests 40 meters down to see a Greek aqueduct, a Roman theater, a war museum and the Hypogeum Gardens. As you visit the gardens you’ll learn about the research being done about growing plant life in a seemingly hostile environment, including no natural light. At the Theater of Nero the tour includes a visit to the dressing rooms of the infamous Caesar, Nero, who performed in Naples in 64 AD. 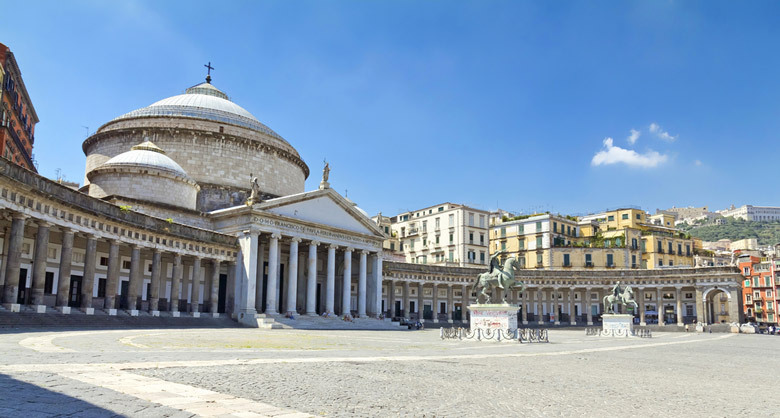 The tour also includes a visit to The War Museum, dedicated to the bombing of Naples during World War II and the four days that the people rose up against the Nazis and helped to drive them from their city. With Pompeii and Mount Vesuvius each a day trip from Naples, a visit to the National Archeological Museum should not be missed. Considered one of the most important archaeological museums in the world, it houses the frescoes, sculptures, mosaics and everyday items of Pompeii and for this reason it tops our list of things to do in Naples. Perhaps the best known is “The Battle of Alexander Against Darius”, a 16-foot long mosaic that most likely graced the floor of the entrance of the largest Pompeian home. Treasures within the museum also include the enormous Greek and Roman statues, the Farnese Marbles. A highlight is “Farnese Bull” which was restored by Michelangelo after its 1545 discovery and not shipped to Naples until 1787. 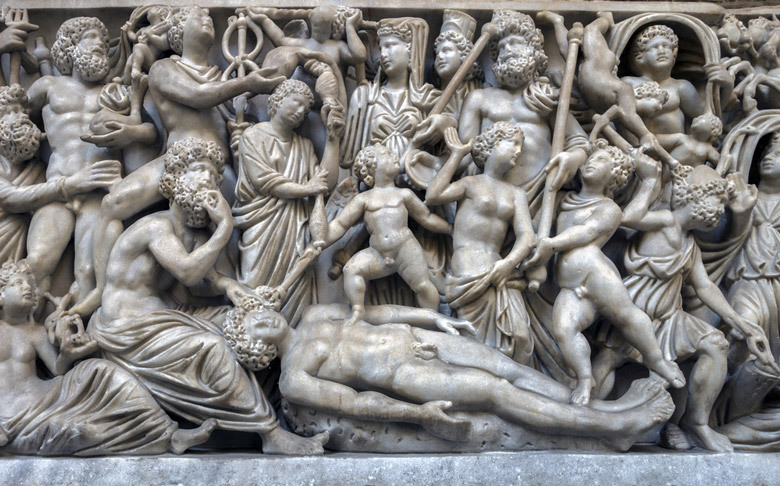 Illustrating the death of the Queen of Thebes, the statue is carved from one giant piece of marble and is considered to be the largest single sculpture ever recovered. We recommend doing some research before visiting this museum. If a specific gallery is of interest to you, it’s a good idea to call ahead and confirm that that room is open on the day you’re visiting. Due to staff shortages and other issues, sections of the museum can be closed off.